MLS#: 3306374 - Courtesy of Golden Real Estate, Inc. 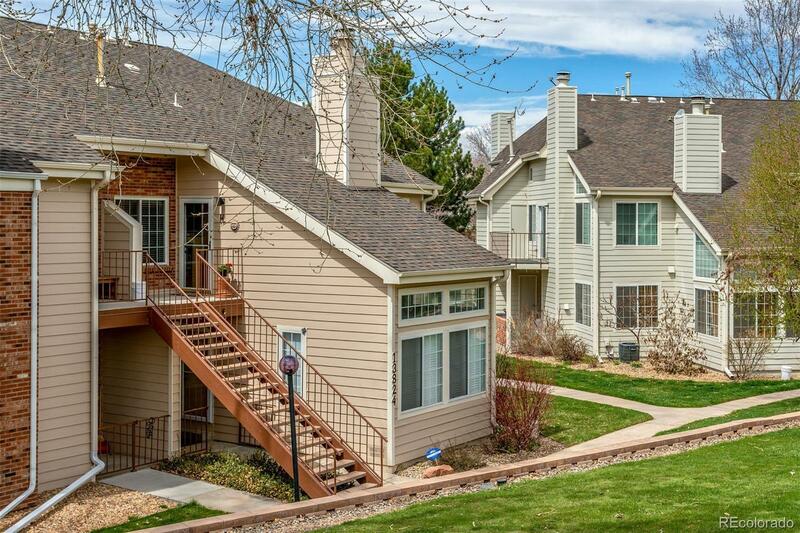 This second floor, 2-bedroom, 1-bath condominium is located across the street from Cherry Creek State Park and next to the 5th tee box of the scenic Meadow Hills Golf Club. Inside youâll find many recent updates including kitchen appliances, furnace, central air conditioner, water heater, gas fireplace and windows. From the deck you can relax and enjoy the sunsets over the Front Range Mountains or watch the seasons change on the golf course. This home is gorgeous and without a doubt has the best location in the entire complex! Open house Saturday, April 20th, 11-3.